GB writes:"Halo Reach is arguably Xbox 360's biggest game this year. Yes it has Fable III, Alan Wake and Splinter Cell: Conviction, but come on, we all know the impact that Halo games make on Microsoft's console. Killzone 2 is without a doubt the most amazing looking first person shooter even a year after its release. So we at GamingBolt decided to do a high definition screen shot comparison of both these games." Halo Reach does look great but I still don't see how it has better graphics then KZ2, GoW3 or UC2. Well it's still in the alpha phase of development (If I remember correctly) so they still have some time to make it better. KZ2 will be nearly 2 years old by the time Reach comes out and probably KZ3 will be announed by that time, so it's no use comparing both. Just look at the ground textures and compare, KZ2 really benefits from Blu-Ray storage (High Res textures=more space). Yesterday I just popped KZ2 in after playing Falout 3 and I was again Blown away (for the Upteenth time). Just playing online with 32 players with those graphics is a treat. Best FPS I have played period. And last night I was online and the servers were slammed full of people. Every last one is a bullshot. Released linear, no coop, no nothing, gray shooter vs Pre-alpha Halo. I like that. yea i agree, KZ2's graphics will really amaze you after taking a break away from it. The problem with Halo is that there are just too many outdoor landscapes. It is easy to make a realistic looking cityscape out of low rez textures. But a rock, ground/grass, and a tree with low rez textures and "cardboard" leaves and foilage really bring down the fidelity level of a game. And games this gen really can't push enough power to make a very realistic alien landscape. Which is one of the reasons that K2 looks so damn good is because of that very reason - cityscapes are easier to make look believable. Yeah,I know. I logged on for the first time in a while, and I was like "whoa!". There were at least a couple thousand people. Good for killzone 2. I care more about the gameplay. 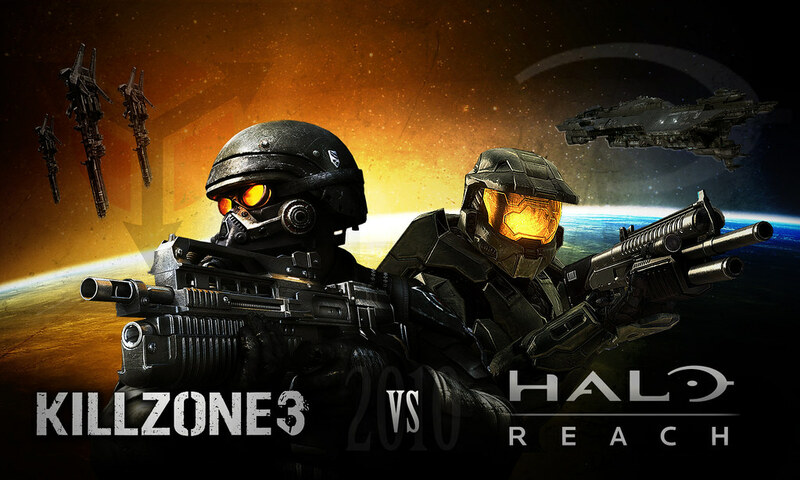 PS3 can keep kz2 and gow 3 and I'll be happy with halo reach. Why don't we compare pre alphas instead of an incomplete game. Reach is shaping up very nicely and when it's done you can easily pick and pull shots that look incredible. The actual footage shown looks better than these shots. Really there's no reason to debate this until the game is finished because people will try anything to prove a point. thats how i remember it when i played it, it was graphics king for a reason you know lol... oh and id say halo reach were more like bullshots, anyone seen the halo reach in motion vid, cut scenes looked great gameplay didnt, simple... and for the people shouting open world, thats fine i dont exspect an open world game to look as good as k2, but in the same breath you cant use halo reach to tout the 360s graphics then, as many of them have! does it look as good as K2 no, end of. bullshots lol ok lets pretend they are so how do you explain this? just so you know reach is linear too it just has open areas but only has 1 way in and out of that area. also who cares if kz2 doesn't have co-op it has 32 people online, large levels, no lag, and still looks amazing. don't be bitter because reach doesn't hold up you just look like a child who got his toys taken away. just yesterday you said early reach pics look better than kz2 why the change of heart now? 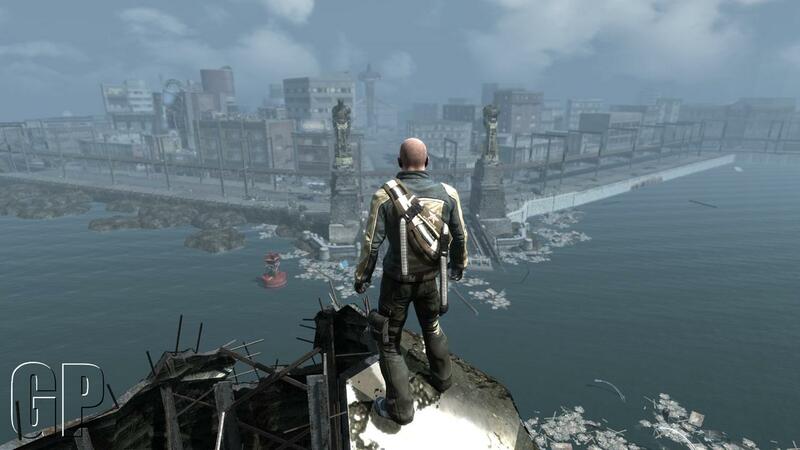 Nothing on 360 has beaten even Gears 2 so why compare this to Killzone 2 which is obviously better looking? Does anyone recall Bungie stating that Halo: Reach can have so much as 20 dynamic light sources on screen? Killzone 2 can have over 120. BUT DAMN, stop mentioning God of War 3, omg! The game isnt impressive at all. Here, we have a SANDBOX game. Really, you PS3 fanboys search for the most stupid excuses. At least Halo now has the improved graphics it's needed for a while. That and the great multiplayer is a win win for Halo fans. actually your wrong... there were parts of killzone 2 that had over 300!!! individual light sources, lmao look it up mate, i watched like an hour in depth behind the scenes making of with GG thats where i heard it... i think its the parts where all the robots are flying over head, the bit where you get the electric gun. edit suppose id better provide a link here you go... http://www.gamezine.co.uk/n... check THAT out lmao, halo what? The visuals look on par with killzone deuce and while I love the art style in gow3 the graphics are no where near as good as uc2 kz2 and reach, well at least from my experience with the gow demo. It just seems that games on the ps3 get too much credit for the graphics, and while their games generally do have better visuals than the xbox it's not that big of a leap.. If you ask the average consumer what is the best looking game out there; most will quickly answer modern warfare even after seeing other big contenders like killzone2 what I'm saying, is that it's just an opinion, and most games this gen look amazing. I've never heard of KZ2 being the graphics king, except by some extremist retard. What does having full servers have to do with this article. Are you trying to compare the number of people playing Halo to those playing KZ2? I hope not. Bungie hasn't even got close to matching Resistance: Fall of Man graphics yet with Reach. But that is a fairer comparison. Comparing Halo: Reach to KZ2 is absurdity. It's a no contest, a TKO for KZ2. It is Bungie though, so the final game definitely won't look worse than R:FOM. An open sandbox game pre-alpha pics compared to a corridor shooter from a year ago...bullshots mind you? even then, i doubt Reach's SP can sustain what KZ2's MP can pull off. 32 full detailed players. guns. grenades. and what not. You could not do co-op in Killzone 2 without altering the story. Apparently that doesn't matter, breaking canon, no slamming the canon on the floor isn't a move of any consequence. What would the solution have been, just invent 3 Helghast that were suddenly turned against Visari and have them fight along side Sev? Don't know what you guys are talking about. Halo Reach looks like it's shaping up to be a very good looking game. The character and gun models are so detailed. I agree, I played this game recently after a break and it still amazes me. The textures, lighting, physics and HIT RESPONSE SYSTEM (ie where ever you shoot enemies, they react appropriately) Amazing game, it will be tough for Halo to compete graphics wise and KZ2 will be about 2 years old by the time Reach releases. I can't wait to see some footage of KZ3!!! At least these guys were wise enough to compare games of the same genre, sheesh. Stupid to even comment on Reach vs UC2 or GOW3 (although Reach loses against them badly). Here you can compare gun to gun, helmet to helmet. Halo Reach is not going to end up looking better than Killzone 2, if only because of hardware limitations. 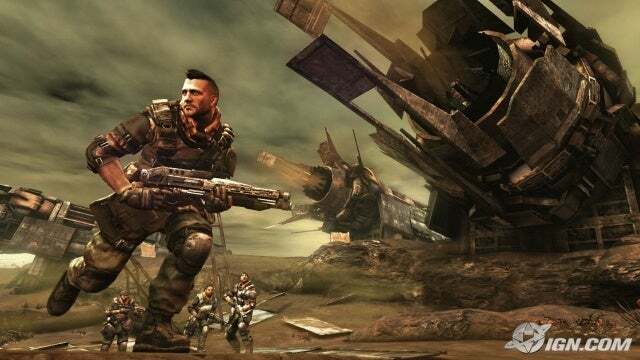 I always leaned towards "realistic" shooter's more than sci-fi ones..
thats why I like Modern warfare(CoD4),MAG and BC2(based on the demo).. but to be honest I don't think Halo will match Killzone2 in terms of graphics, but the controls are way better in Halo..
true, Killzone2 and Uncharted2 screens don't give these games a favor at all. they look way better in motion! 4 Player Co-op through the "Campaign"
Massive Levels you can "EXPLORE"
GoW3, Killzone 2, & Uncharted 2 has absolutely none of that. Memory needs to be used that would dilute graphical fidelity, if Bungie wanted to do a scripted, linear, or game with small levels, it would look far better. I'm not having a change of heart at all. After seeing Reach in motion I clearly see it's looking and getting better as time goes on. There have been other shots posted that look better than certain KZ2 moments. What I'm saying is once the game is finished we can put an end to all this KZ2 is the graphics king nonsense. Those KZ2 screen dont do the game justice and still came on top. On my TV they look much more impressive, not to mention all the stuff going on at the same time. That said, Halo:Reach is looking very nice, I wouldn't expect much better visuals in the final product though, however come on xboys rejoice, game is looking improved over Halo 3/ODST. Comparing prerendered Reach shots vs Killzone 2 alpha shots. That makes a world of sense. So true. The best way to really understand how good Killzone 2's graphics are is not play the game for a while and then come back to it after you played some multiplat games...you'll be blown away every time! People tend to forget how good KZ 2 looks because they move on to other games but if they take the time to just play it again for a few minutes they'll see the difference in quality is tremendous. 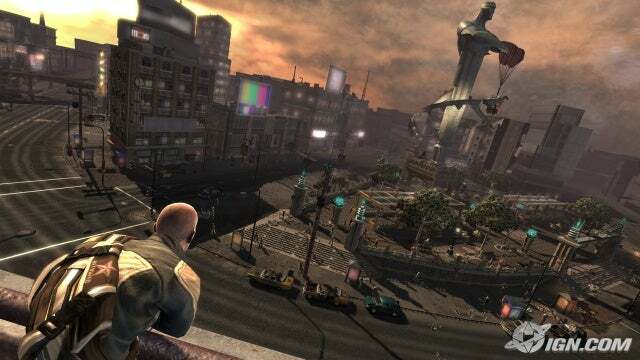 I remember when 1UP made a comparison between Halo 3 and Killzone 2 when it was in pre-alpha stages and the xbox fanboys on N4g were jumping around like it was christmas day. And arent you always saying that nothing interests you on the PS3 and that you dont own a PS3? How do you know that Reach looks better than Killzone 2 at certain moments if you didnt even play Killzone 2 AND Halo Reach? Those are "Sandbox" or "Open world"
I'm sorry but these are "Arenas" with 1 way in and out. This is not OPENWORLD or SANDBOX in anyway... The game looks good but IS NOT OPENWORLD. On all the KZ2 talk even that game just as much scale if not more. First off I've played many games on PS3 including KZ2 and will tell you the system doesn't interest me. 2nd I've given PS3 plenty of props in the past as far as graphics go and simply have been stating that things are progressing for both systems not just one. 3rd I also remember the days of KZ2 bashing so all of you guys should know this comparison stuff is stupid. 4th these shots prove nothing other than the fact Reach isn't done yet. And 5th Once Reach is completed we will have this talk again(bookmarked)and mark my word you will need to change your name to Iamalwayswrong! "..but to be honest I don't think Halo will match Killzone2 in terms of graphics, but the controls are way better in Halo..
*plz don't take my comment as a fact its just MY opinion :)"
If you don't want people to take your *opinion* as fact than you should have typed, "I THINK the controls are way better in Halo" because the words "I THINK" is stating an opinion. Saying, "IT IS" or anything without "I THINK" or simply "I" - I like, I hate, I love...etc. - is stating as fact. lol, you need to brush up on your English. All this while when you said BullShot i thought you were obviously referring to the HALO Reach screenshots (always expected from MS), lol, You my friend have never played KZ2 or let alone seen it. It is sad but when you buy your ps3 after getting the 3D TV you can play and feel stupid for calling the KZ2 shots bullshots. LOL, atleast GG and KZ2 owners should be happy knowing that the shots that you think are highly improved and modified (bull) are actually what we see when we play it. Thanks for appreciating KZ2's graphics, yes it is that damn awesome. sorry, but English is not the main language in my country, and Im actually working on improving my English, so I appreciate your notification even thought "I THINK" u could've said it in a better, more mature way! A better comparison might have been the RESISTANCE series on PS3. It looks to fall somewhere between R1 and R2. AND here we go already, when 1 game has been out for 2 years, and 1 game is still showing alpha-build shots. I think Reach though has better textures, a lot more detailed while KZ2 models are better. But lets wait till the product is finished before jumping guns.... and those complaining about comparing a 2 year old game to a new game, people did the same thing with Halo 3! Halo 3!. KillZone 2 does not have a 120 light sources. It actually has 230. Although clearly not as impressive as KZ2, I've been looking at screenshots of Reach the past couple of days and it looks like a beautiful game! I really enjoy the scenery and it kind of reminds me of the first time I saw Halo:CE! Had to write this comment before looking at any others, because when I read the stupidness about to take place, my tone will likely change! They should split the campaign and the multiplayer up on two disks or use the gameworld for multiplayer to save space and get the best out of it! The color palette in KZ2 is so limited that it's easier to make good looking graphics. Reach not only has a much richer palette but its open instead of linear with much more things going on at the same time than KZ2. As a whole, Reach is a technically more impressive game, and most importantly, it's a game that will last for years, unlike the forgettable Killzone 2 which only excelled in the visuals apartment. KZ2 will look miles better and besides, by the time Reach releases, Killzone 3 will probably have already been announced. MS playing catch up, but they'll never reach Sony's level of quality. You want TRUE next generation games? Get a PS3. Lets be fair, power rangers isnt even done yet. Lets wait for the game to come out then compare it. I personally dont think it will ever be Killzone 2 quality in gfx department, but who knows. Maybe this will be the game to finally reach Uncharted gfx on the 360. Or maybe not. I usually stay out of these Killzone 2 vs. Halo Reach articles that keep popping up every now and then even though I find it ammusing to read them. And your comment at 1.7 is funny because everytime I look at the Halo Reach screenshots I always look in the backgrounds and the Halo Reach backgrounds are so simplistic (nothing really back there but a couple rocks). I assume you're just trolling because I really hope you don't believe a full city taxes the system less than wide open barren landscapes. is it just me or the 3rd screenshot looks like concept art vs real screenie? If that is a real screenie of HR, just wow. why they chose to compare to that low-res turd of a game is beyond me. I tried posting this on the site but it wont let me. basically i'm glad he's using alpha screens from both,as it would be unfair using final build KZ vs alpha Reach. if you don't know source material,you shouldn't be making comparisons. "Reach not only has a much richer palette but its open instead of linear"
As it seems you didn't know that just check this vid,you don't need to respond,i'm just showing that the "it looks good because it's linear" stuff is bs. even this vid doesn't show how open the map is,and is probably under a third of the map,yet it still looks amazing. No comparison, KZ2 looks alot better. No developer puts out it's preview shots of a game if it looks less than spectacular to them, hence what some developers do is show bullshots. With that said, bullshot or not, KZ2 is trumps Halo's graphics and seriously they don't even use the best looking parts from the game. Seen the dunes in that game?! OMG! Secondly, the guy does not know what he's talking about. He compares concept work with actual footage. Not only that but has the gall, to call the train level rendered with low rez texture. This is very annoying and misinformed. I love when he mentions the very detailed trees. Come on, can you really confirm that?! Now on to the subjective. Did you see the design on those aliens? Looks horrible to me! Looks like a kid's game which it is I guess. I love KZ's mature look and design. Graphics capabilities aside, KZ aesthetically looks so much better. Using less colors is not easier to do than more color. Whoever told you that just heard a 13 year old say it and is just repeating. I work in the commercial arts industry and doing things with less color is still the same amount of work. Try making a game in B&W. It still takes lots of skill to light everything up. Every nuance need to be accounted for. And for a game with less color, those colors need to harmoniously work together and then there'd be tons of shades of it which need to be meticulously chosen. The guy also cant spell ISA!! "The color palette in KZ2 is so limited that it's easier to make good looking graphics. Reach not only has a much richer palette but its open instead of linear with much more things going on at the same time than KZ2. " "boyeeee what in theeee hell are ya talkin about?" Killzone 2 wins. It's not even close. How the hell can you compare a finished game to a unfinished game? I thought people said KZ2 was nothing graphically? Now they're gonna praise Reach if it kinda looks like KZ2? It doesnt even come close to how KZ2 looks like. -Most of the ps3 fanboys on this site are so full of sh^t it's not even funny. 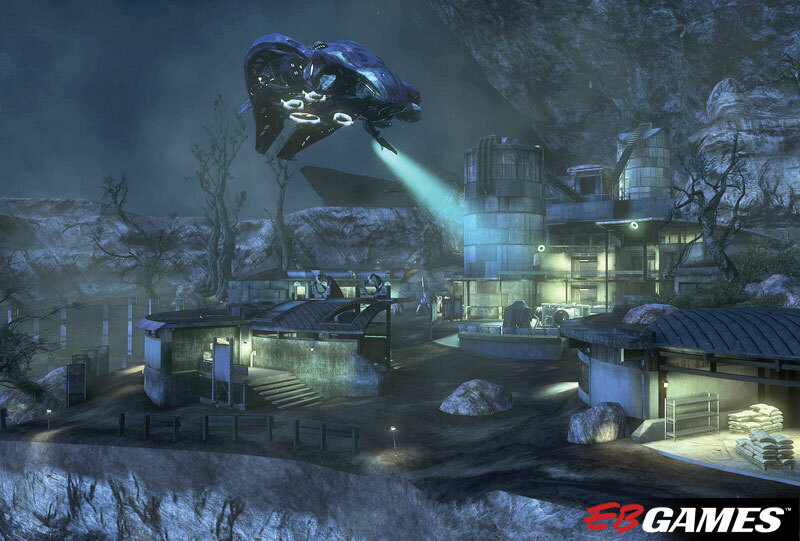 I mean we actually have some morons claiming Halo Reach looks no better than Resistance 2. Give me a break. Halo 3 already looks better than Resistance 2, so how is Halo Reach not going to look far better? It's absurd. It's all a bunch of lies from these guys. They don't even care if they sound ridiculous as long as they are hyping up their console and putting down the others. I'm sitting here looking at the pics and can easily see where Reach is surpassing KZ2 in the 1st 2 pics. The 3rd pic can't be compared and the last pic does look better on kz2 but I've seen much better pics of Reach than that one. All these disagrees and rants going on and on when every one of you guys are lying to yourself. The ground in the 1st KZ2 looks like a bump mapped joke as well as the blurry back ground and gray everything. The second pic is completely brown and there clothing looks retarded next to what the covenant are wearing. When later footage is released you guys are going to deny it once again. KZ2 looks dated already and I don't agree with none of this claiming nonsense! 2,3, and 4 are from the multiplayer. shot #2 are showing a character that weren't in the stage at that point in the game; as a matter of fact, I don't think that part of the stage is accessible in the single player. shot #3 The train stage can't be looked at from that angle from the game, but you can from the multiplayer. Shot #4 is from the map pack that modeled a stage from the first game, so that level isn't even in Killzone 2's single player. Shot #3 is concept art.